Made from high quality stainless steel,it\'s durable and portable. Delicate and pretty item for daily use. The bottom of the cup an antiskid design, to prevent the dumping slip when using. Best gift for boyfriend, husband, brother, father and so on. 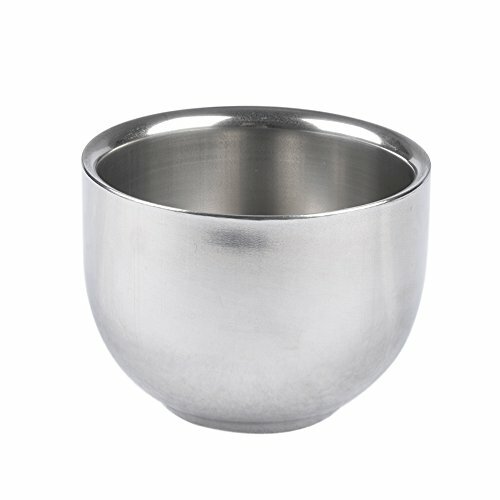 Very nice and durable stainless steel shaving cup!